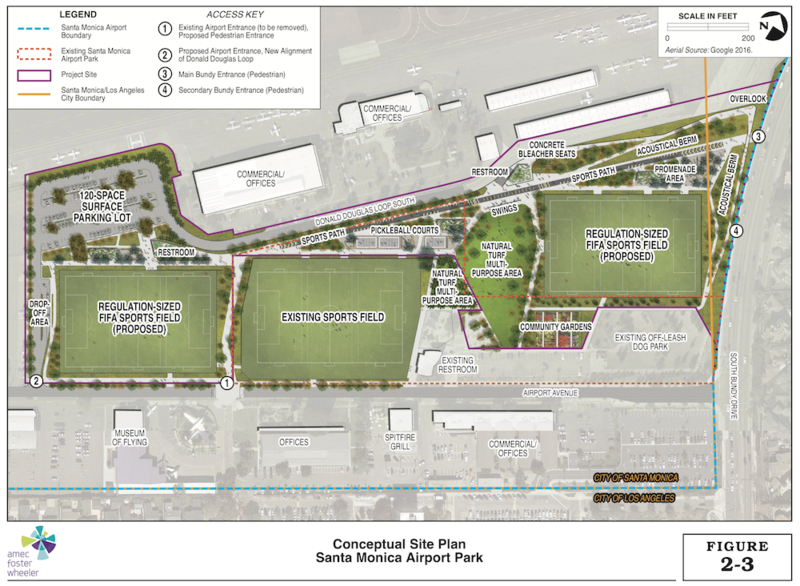 Santa Monica is moving forward with the Santa Monica Airport Park Expansion. The 12 acres of the Airport Park Expansion currently being designed by noted park designer Mark Rios, has moved forward to the important Environmental Impact Report stage. The park design will include full size playing fields, pickle ball courts, community gardens, playgrounds, walking paths and will provide much needed new recreational resources and opportunities for our community.